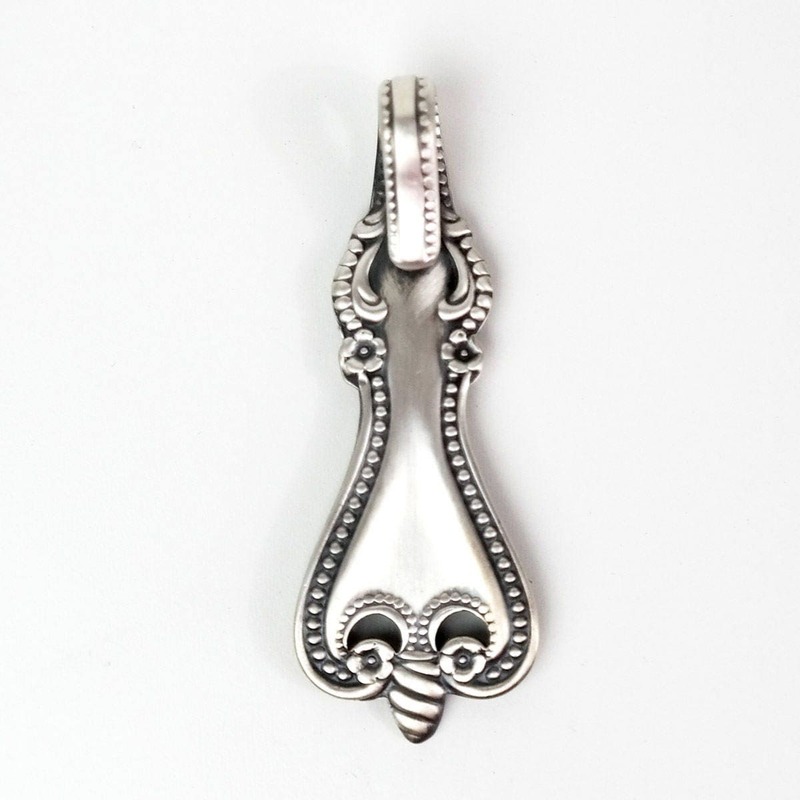 Vintage sterling silver spoon handmade into a beautiful Pendant or Key Fob! This spoon has wonderful Victorian scrolls outlining the outer edges, with a nice pine cone swirl pattern on the top. 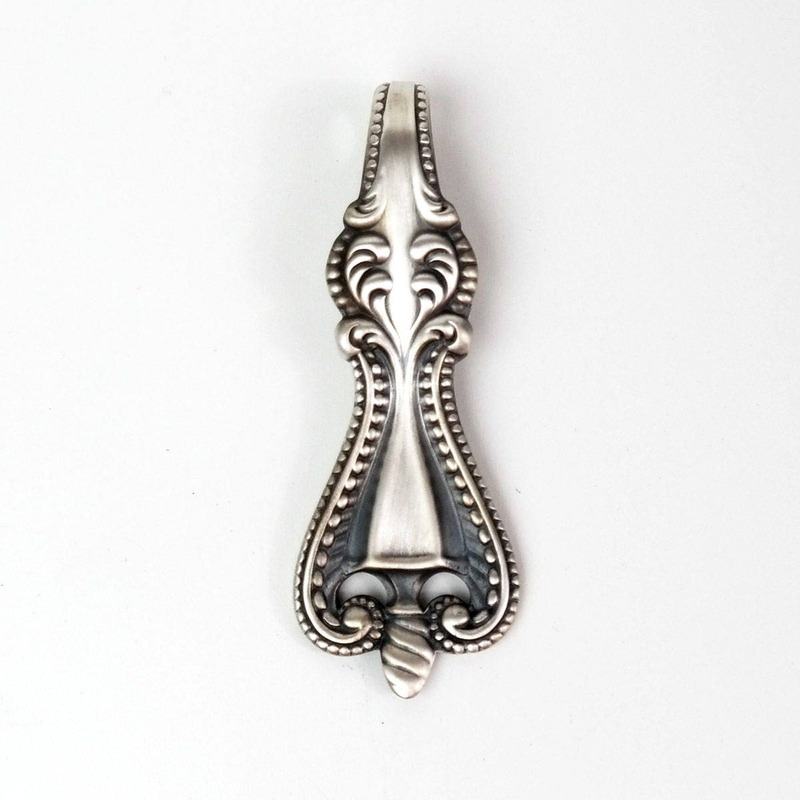 This pattern is made by Towle Silversmiths and is called, " Old Colonial" this was first introduced in 1895. 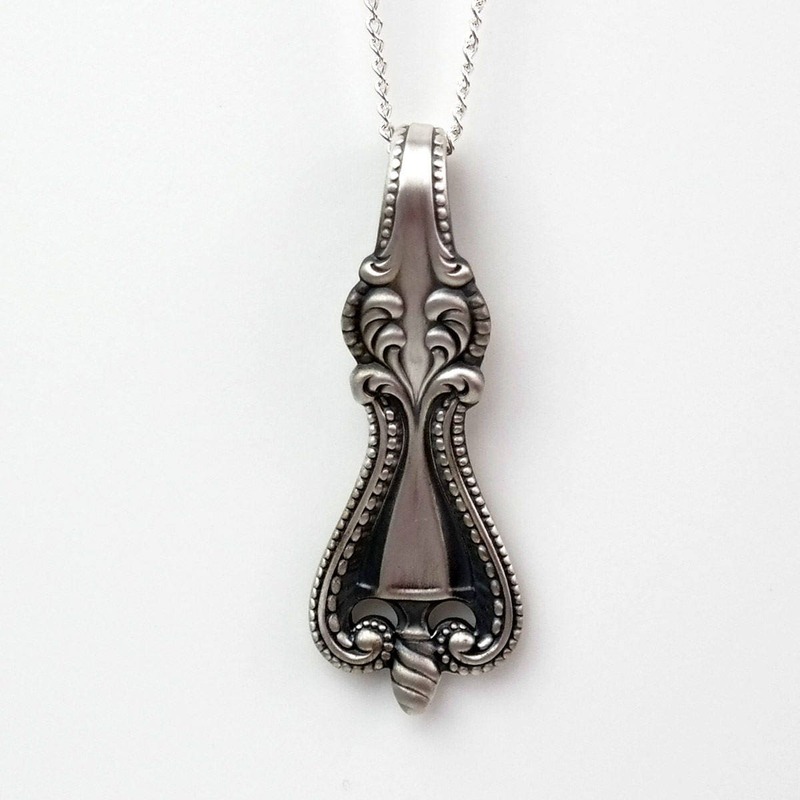 This is made from an antique sterling spoon. 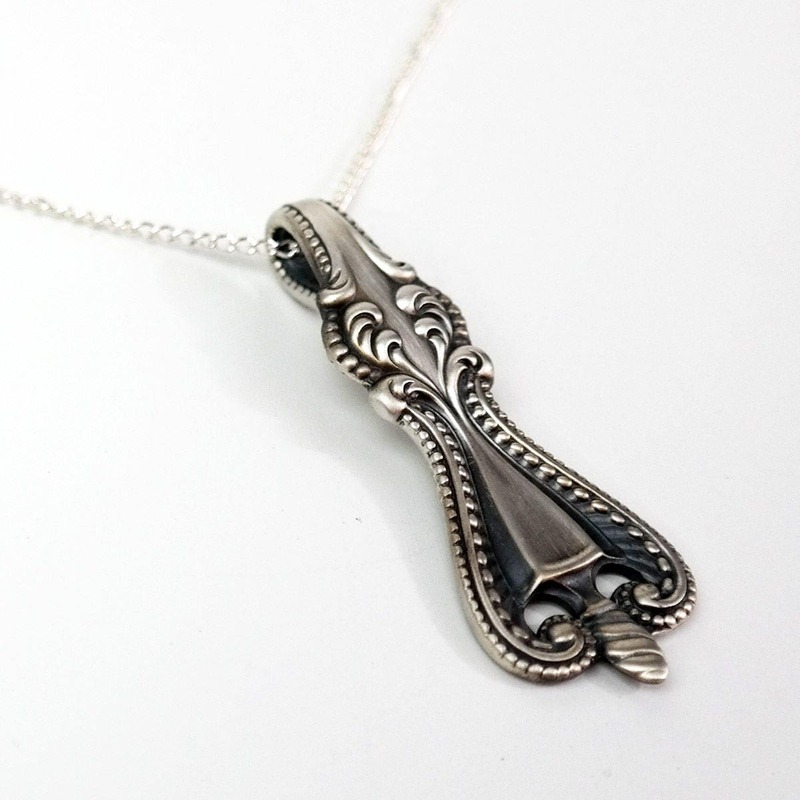 Made of and stamped Sterling Silver, I put a brushed finish on this pendant to even out the surface for a brilliant satin finish! 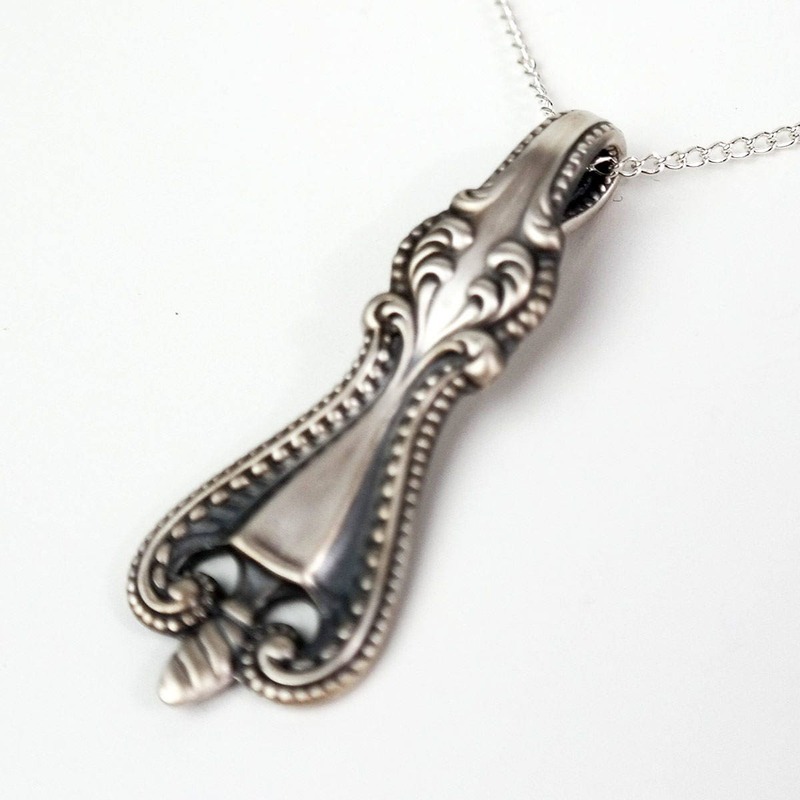 Simply stunning with the patina we've added to help the design really pop! 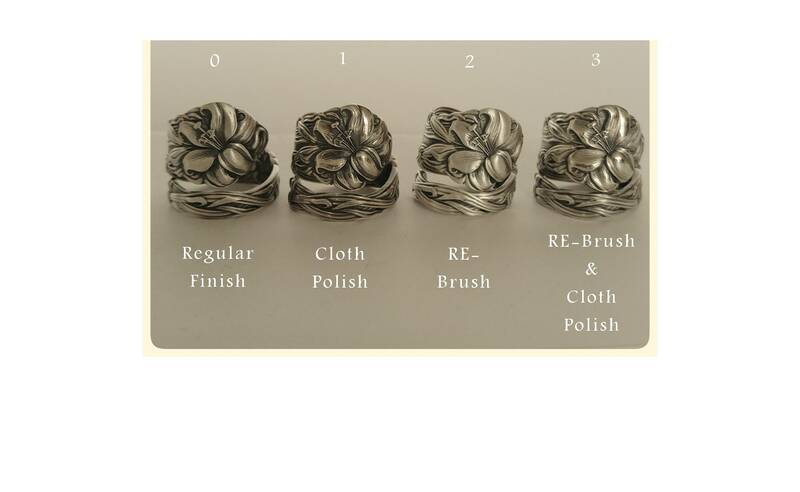 Other Free Finishing options available upon purchase, as seen in the photo.